With the fifth largest economy in the world, California is widely seen as a model to follow when it comes to action on climate change. Since 2005, the state has implemented a set of policies to reduce emissions, with a particular focus on rolling out renewable power and developing clean technologies. 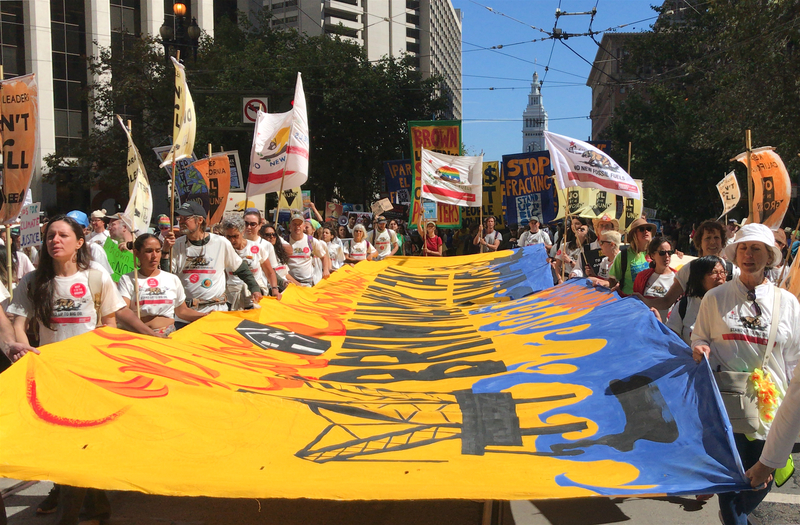 Nevertheless, hundreds of protestors gathered in San Francisco to protest against Governor Jerry Brown as part of the Global Climate Action Summit (GCAS) last week, an event organised by California to demonstrate its climate leadership along with other cities and regions worldwide. 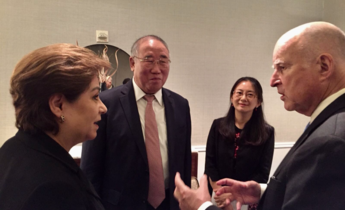 The GCAS, which ended on September 14, consisted of three days of meetings and announcements from international representatives, but more than anything it was seen as a celebration of Brown’s climate legacy. The governor will finish his term this year after a long political career. 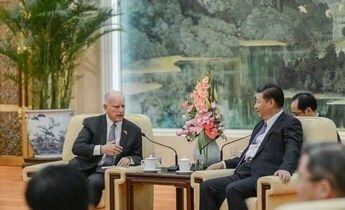 Brown followed the path laid out by predecessor Arnold Schwarznegger on climate, arguing for tougher laws and rapid action. California has committed to reduce its emissions by 40% by 2030 and it implemented a programme of financial incentives so that companies produce less contamination. 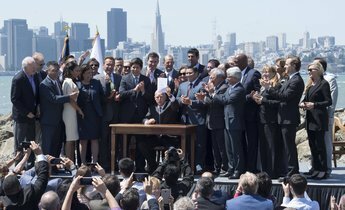 Following recent legislation, the state will work toward a zero carbon power system by 2045, and Governor Brown also issued an executive order to totally decarbonise the economy by the same date. It is a huge challenge, considering that between 2006 and 2016, the economy grew 16%, the population expanded 9% and emissions were only reduced 11%, according to a recent report by environmental consultancy Next 10. According to a recent survey by the Public Policy Institute of California, it is very important to more than half of Californians that the state is a world leader in climate change. Two in three consider that the effects of climate change are already happening, and this is seen as a serious problem by 80% of the population. We haven’t made much progress in the transportation sector and we need to make advances. But California still has big challenges, particularly its transportation sector, which accounts for 41% of the state’s emissions. According to official statistics, there are 32 million vehicles in operation for a population of 40 million, of which only 400,000 are electric. Emissions from transportation have increased in the past four years due to residents travelling further as a result of rising house prices in the major cities. In addition, the number of public transport users has decreased in four out of five of the state’s biggest metropolitan areas. “In California, we drive 555 billion kilometres every year. We haven’t made much progress in the transportation sector and we need to make advances. In order to do so, we need to make the energy sector greener and push the use of electric cars,” said Ken Alex, an advisor on environmental policy to Governor Brown. 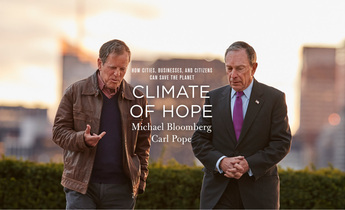 “California achieved many things in climate and environment, but we are far from perfect. We want to transform our economy so the rest of the world can follow in our footsteps,” he added. Fossil fuels were the focus of the protests against Brown during GCAS. California is the sixth largest state producer of oil and gas in the United States. According to a recent report by the Fracktracker Alliance, the state authorised 53,825 new onshore wells and 238 offshore ones between 2012 and 2016. The state has the third most oil refineries in the country, and imports oil to be processed. According to Amazon Watch, 50% of oil exports from the western Amazon Basin are bought by refineries in California. The extraction of oil in the Amazon is driven by state companies and Chinese development banks according to Amazon Watch. 'The vast majority of the oil exported from the Amazon comes to the refineries in California directly, linking the state to the destruction of tropical forests'. 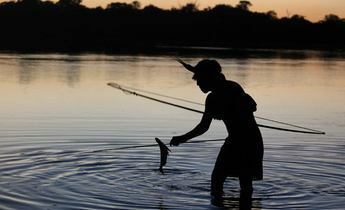 Oil extraction in the Amazon has significant impacts on biodiversity – it being one of the most biodiverse places globally – and for indigenous peoples. 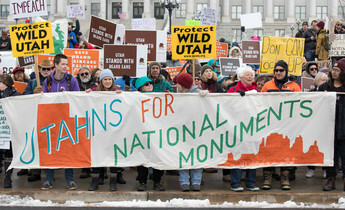 Many of them have strongly opposed development projects on their land. This is why, during GCAS, indigenous representatives repeatedly complained to Brown to stop the use of fossil fuels in California and to commit to an economy that is completely free of them. However, many analysts believe this is not yet possible. All the same, a group of Nobel prize winners and more than 800 representatives of social and environmental movements sent Brown a formal letter, congratulating him for his leadership on climate, while highlighting California’s “moral responsibility” when it comes to slowing down the exploitation of fossil fuels. California’s vulnerability to the impacts of climate change has become clearer in the past few years. According to the fourth and most recent analysis of climate change carried out by the Californian government, the temperature of the state has increased between one and two degrees Celsius on average from the beginning of the twentieth century as a result of greenhouse gas emissions. The temperature could increase between 5.6 and 8.8 degrees Celsius on average by 2100 depending on action to reduce emissions (from the same baseline). This will be accompanied by an increase in sea level and forest fires. These consequences could be reduced with Brown’s plans to achieve a totally decarbonised economy. According to Julie Cart, an environmental journalist covering California issues with Calmatters, changes to the state's oil and transportation industries and the use of electric cars both for passengers and cargo will be key. “The oil industry is very powerful in California. It employs many people and it usually drives the economy, but now we are moving away from it,” she said.